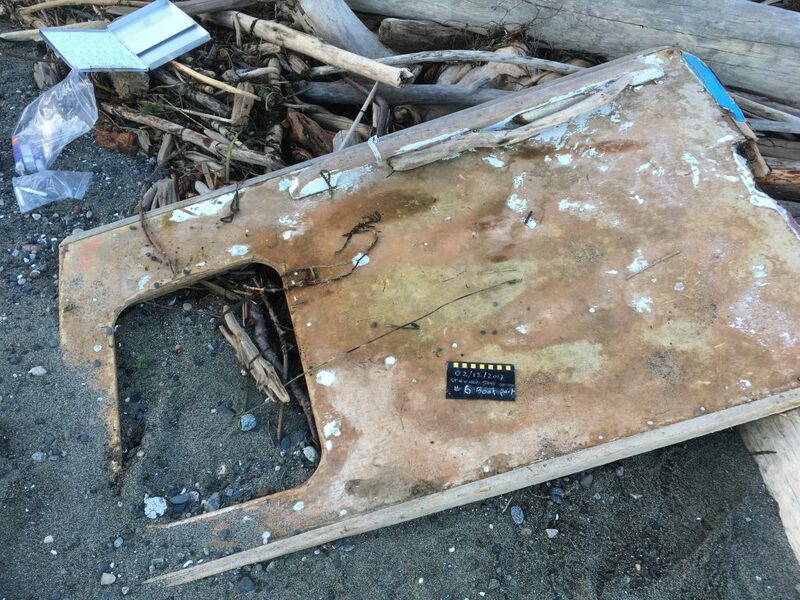 This object washed in as part of a COASST Marine Debris survey. Do you know what it is? We think it may be part of a boat. Do you know what kind? If so, we’d love to have your help! Please let us know your thoughts in the comments below, or send us an email at coasst@uw.edu. This entry was posted in Marine Debris on 7. April 2017 by coasst. The blue and white paint are common on fishing boats. Englund Marine sells fast drying enamel in these colors. The wood piece with the round plug is a grab rail used on many boats. I have seen them on boats from the 1970s and they are still stocked in chandleries. They are usually teak and are either varnished or oiled but fisherfolk often use paint instead. One possible explanation for the rectangular opening would be that this is a side piece of a deckhouse and the opening is for a window. 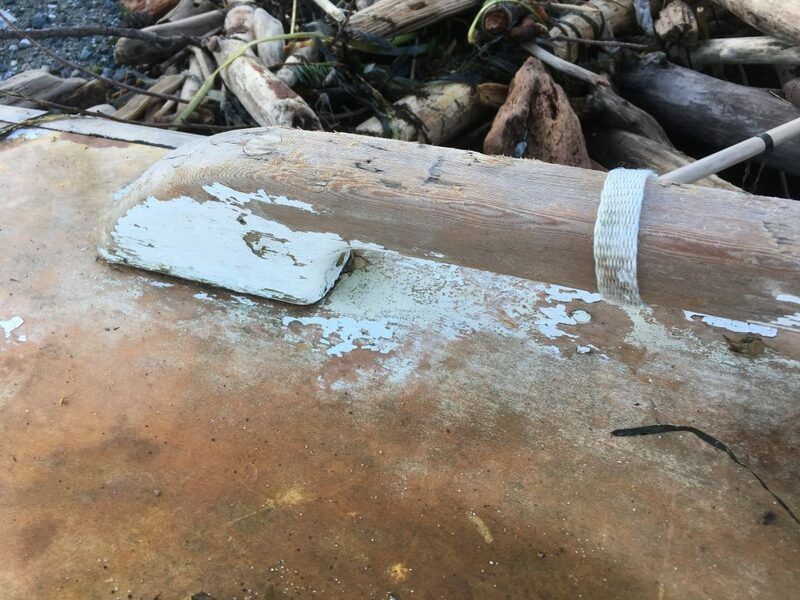 The quality of the finished opening indicates professional or advance amateur origin, while the grab rail being wood that’s painted over may indicate that the original deckhouse may have been repurposed. Some small to midsized sailboats, like a single hand sloop, will have a short door leading into the cabin. Wood, fiberglass or composite. My second guess, could have washed offshore from a shed, boathouse or some homemade structure, drifted awhile and washed up. Flood waters, storm surges, even high tides are much larger than I remember when I was young. Add increasingly ferocious storms and more shore/river side are getting trashed or undermined to collapse. (THANX Global warming).